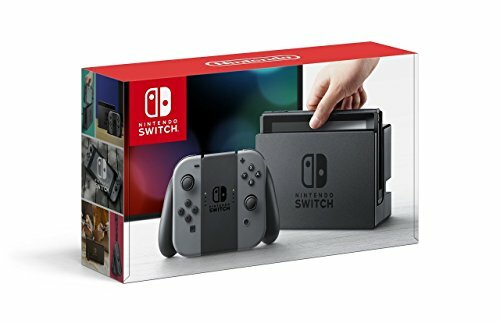 Five Reasons Why I am So AMPED For The Nintendo Switch — GamingWithSwag.com - Dads By Day, Gamers By Night. There is nothing better than a new console launch. Gamers and collectors alike scrutinize every last detail. The paint job, the plastic quality, game format, internals, etc. These days it's easy to compare all of these stats to other competing products on the market, especially those so successful as the PlayStation 4 and the Xbox One. There is a lot of talk about the Nintendo Switch console which releases this Friday, and there has been ever since the first announcement and footage back in November. But THESE are my personal reasons for being so excited for this Friday. Say what you will about Nintendo, they really do not care what anyone else thinks. With BILLIONS of dollars put away in the bank, they really can artistically (and financially) do whatever the heck they want. Sure there have been some recent missteps, like the naming of the Nintendo WiiU console for instance, and the initial 3DS launch. But I'd like to think that there are two areas where Nintendo shines. Making plastic and developing software. Nintendo machines are built like tanks. It's very rare that you see a Nintendo console that just does not work, even ones built in the 80s. Even blinking NES systems usually just need a good cleaning or a new set of pins to get working again. There is no argument that their software game is on point, and almost everything developed in house ends up being a AAA title for their system. Nintendo is trying to stress this immediately, and it shows in the advertising. 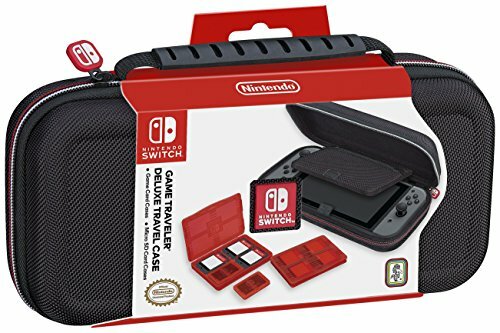 Nintendo wants everyone to understand that you can pick up your Nintendo Switch, take it anywhere and set up an instant video game party. Whether it is an 8-player multiplayer session of Super Bomberman R, or setting up an impromptu Mario Kart 8 session, it's easy to grab your Nintendo Switch, head to your destination, and setup a gameplay session. I feel as though this is really going to be the selling point of the console eventually. Once Mario Kart 8 Deluxe and Splatoon 2 release, I foresee this being a huge draw to the system. No one wants to pack up their PS4 or Xbox One and drag it to a friend's house. The Switch is so portable, that bringing it with you makes it a no-brainer. Play an 8-player match of Super Bomberman R locally or online! 2. Dat Software Line Up Doe. Nintendo WiiU had a huge problem getting publishers to sign up and get on board with the system. It was seen as an extension of the Nintendo Wii, a child-like shovelware platform where only junk games exist. The console was marketed poorly and never did nearly as well as its predecessor. However, the Nintendo Switch looks very promising. With over 100 confirmed titles announced (many coming in 2017), there will be no shortage of software to purchase for the Nintendo Switch. And these aren't all indie titles either. Big publisher names like Sega, Bethesda, Square-Enix, Koei-Temo, EA, 2K, and Capcom all prove that they want the Nintendo Switch to become successful. Hopefully this support continues well into the console's lifespan. Indie games are no stranger to the system as well. Exclusives like Fast RMX, Snipperclips and Seasons of Heaven all show that game developers have faith in Nintendo to become a premiere platform for indie titles. The current Nintendo Switch software lineup, as of 2/27/17. We have been teased with a new Zelda game coming to a modern platform as early as E3 2011 when a video of Link fighting a giant spider was revealed during the announcement of the Nintendo Wii U console. Ever since then we have been getting bits and pieces of a game that would finally see the light of day almost six years later. This Zelda game is looking to be one of the most important video games of this modern generation. Early reviews are calling the game as good if not better than the critically acclaimed Ocarina of Time. I remember playing the original Zelda game and being amazed at how large the world was, and even more surprised learning about a second quest with all new dungeons. Or when you first get to Hyrule Field in Ocarina and you realize how big the land of Hyrule really is. These games seemed infinite, and from what I have seen in the trailers for Breath of the Wild, this feeling has returned. See that tower in the middle of the screen all the way in the distance? I want to go to there. And I can! I want to explore every nook and cranny, burn every bush, bomb every wall, and find secret passageways. I want multiple ways of achieving my goal and finding unique ways to explore the land. Remember that time you accidentally stumbled upon a Moblin hideout and he gave you 50 rupees? Or that time that you blew the whistle on the lake and the entrance to a dungeon appeared? I want to be surprised that the next room I walk into there is a giant boss that has some trick to defeating it that I have to figure out. I want all of this. I NEED this again in my video games. I have a very good feeling that this game is going to end up being the must have video game of 2017, and will drive initial Nintendo Switch console sales. So much exploring to do! Fighting incredible bosses is a Legend of Zelda staple. So what do you think? Are you excited? Do you have one preordered? I pick my system up on Friday and hope to have some initial impressions from me and George on both the system and the Legend of Zelda: Breath of the Wild this weekend. Nintendo Switch, Zelda, Legend of Zelda: Breath of the Wild, Super Bomberman R, 1-2 Switch!